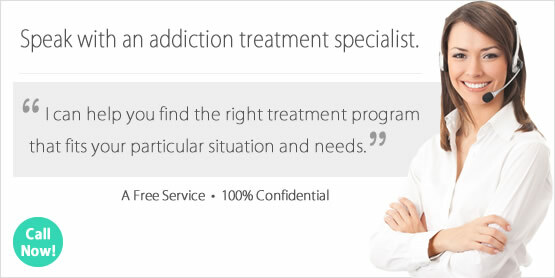 Looking for a Drug Rehab or Alcohol Rehab Program in Ohio? Drug rehab in Ohio provides the opportunity to overcome your addiction problems and get clean and sober. Ohio has many top-rated drug and alcohol treatment programs to choose from. These programs range in length and intensity, so deciding which type of treatment will best fit your needs might be a difficult decision. When initially beginning this process, it is important to look into various program's reviews and ratings. When you're ready to move forward with your research, our rehab advisors are available to help you get properly placed so that you are matched with the best program to meet your recovery needs. Each year the National Survey of Substance Abuse Treatment Services (N-SSATS) compiles information on the many different drug rehabs in Ohio. The most recent report was taken on March 29, 2013 and indicates there were 378 substance abuse treatment facilities in the state at that time with 37,262 individuals enrolled. Of these 378 facilities, 330 provided outpatient treatment, 50 provided residential or inpatient treatment and 9 provided hospital inpatient treatment. In a recent news article on how drug abuse affects Ohio families and taxpayers it was stated that 1 in 4 inmates entering Ohio prisons were convicted on drug charges. The damage drugs such as heroin and prescription medications create for families in Ohio is staggering. It was estimated in the article that 70% of Ohio infants taken from their home require protective custody due to their mom, dad or both parents being drug addicts. The economic strain on the system is costing taxpayers more than ever before. The State Department of Health estimates that the specialized hospital care for babies born to drug addicted mothers cost the Ohio health-care system $97 million in 2013. Alcohol treatment in Ohio addresses the client's physical and emotional alcohol addiction problem. Due to the physical nature of alcohol addiction, some individuals require detox prior to beginning alcohol treatment. When the program participant is ready to begin the rehab program, they will begin to uncover personal issues connected to their problem drinking. During alcohol treatment, the program participant does their best to resolve these issues and work on new ways to handle stress instead of reaching for a drink. Alcohol treatment can take place in a variety of rehabilitation settings. There are inpatient alcohol treatment programs in Ohio as well as outpatient centers. The length of treatment for recovery varies from program to program. Generally speaking, short-term alcohol treatment will last around 30 days while long-term programs can go anywhere from 60 days, 90 days or even longer. The 2012 TEDS report on Ohio Substance Abuse Treatment Admissions by Primary Substance of Abuse notes that 10,934 individuals (15.4% of all Ohio drug rehab enrollments that year) cited alcohol as their primary substance of abuse. The largest age group seeking alcohol treatment in Ohio that year was between 26-30 years old. During 2012, another large group of addicts sought alcohol treatment in Ohio for alcohol with a secondary drug addiction problem. Similar to alcohol addiction treatment clients, the majority of these clients were between 26-30 years old. The differences between inpatient vs outpatient treatment in Ohio primarily lay in the fact that with inpatient treatment you live in the facility, and with outpatient treatment you don't. Inpatient treatment in Ohio offers clients the chance to leave behind their day to day life and focus exclusively on their recovery. Their room and board are part of the treatment costs. They only need to bring with them their clothing and toiletries during their time enrolled in an inpatient program. During rehab, the program participant acclimates to living day to day life clean and sober. This prepares them for life's ups and downs and provides them with opportunities to use the new skills they have acquired in treatment to resolve issues before returning home. On the other hand, outpatient treatment in Ohio is a chance for the person to receive rehabilitation services without the commitment of inpatient rehab. This type of program meets daily or several times a week depending on the specific treatment facility and the client's recovery needs. Generally, clients are able to keep their jobs while in treatment as well as many of their personal obligations. The cost for outpatient treatment is usually less than inpatient care because the client continues to live at home and there are no food costs for the facility to incur. One of the most significant differences between inpatient vs outpatient treatment in Ohio is that with outpatient treatment the client must be able to remain sober when they are not at the rehab facility. If they are unable to stay clean during their time in outpatient treatment, the experience will not help them nearly as much as if they had enrolled in an inpatient program. Success rates for inpatient vs outpatient treatment in Ohio can be measured by national statistics on program completions. The Treatment Episode Data Set (TEDS) conducts national surveys of various forms of drug and alcohol addiction treatment. In their most recent study from 2011, it was found that the completion rate for inpatient drug rehab programs was higher than outpatient programs. The survey found that 54% of short-term inpatient rehab clients completed treatment, 53% of hospital inpatient rehab clients completed treatment and 45% of long-term inpatient rehab clients completed treatment. In contrast, only 37% of regular outpatient rehab clients completed treatment, 33% of intensive outpatient rehab clients completed treatment and as few as 12% of outpatient medication-assisted opioid therapy rehab clients completed treatment. Statistically, the decision to enroll in an inpatient treatment program in Ohio will lead to a greater chance of program completion and the tools needed to maintain sobriety. What Does Inpatient Rehab in Ohio Involve? The decision to enroll in an inpatient program provides an essential level of care to help clients achieve lasting sobriety. When the time comes to enter the program, the client will pack up and move into the treatment center for the duration of their recovery. These facilities offer a safe, secure environment for the person to address their drug or alcohol addiction. Clients who require detox services benefit from inpatient programs, as these services are often part of inpatient treatment programs. Once detox is complete (if it was necessary), the person begins an intensive, daily addiction treatment program. During their time in treatment they will learn about addiction, uncover the issues that drove them to substance abuse and work on new ways to handle stress when treatment is complete. According to the 2013 N-SSATS report, there are 88 inpatient treatment programs in Ohio and 16 hospital inpatient programs. Many of these facilities provide more than one length of treatment. Of the 88 programs providing inpatient treatment in Ohio: 41 offered short-term care (less than 30 days), 76 offered long-term care (more than 30+ days), and 14 offered detoxification services. Of the 16 programs providing hospital inpatient treatment in Ohio, 12 offered addiction treatment programs and 14 offered detoxification services. What Does Outpatient Rehab in Ohio Involve? Outpatient treatment shares many similarities with inpatient treatment programs, just in a different type of setting. Program participants are allowed more freedom when enrolled in an outpatient treatment program. Many people are able to maintain their regular commitments to their family, work or school. Due to the flexibility of outpatient schedules, clients are able to have more privacy and anonymity than in other forms of treatment. A crucial element of outpatient treatment in Ohio involves the ability to abstain from drug or alcohol use. This may be difficult for clients who do not have a safe, secure environment in their home. Overall, this type of treatment program provides a support network for clients and typically requires a component of group therapy and support groups. Data from the 2013 N-SSATS report shows there were 330 outpatient treatment programs in Ohio at that time. It is not uncommon for outpatient treatment centers to offer various intensities and types of services. Of the 330 programs providing outpatient treatment in Ohio during 2013, 315 offered regular outpatient care, 195 offered intensive outpatient care, 42 offered day treatment or partial hospitalization care, 27 offered detox services and 57 offered methadone maintenance. At the time of the report, 34,397 individuals were enrolled in outpatient treatment in Ohio. This made up 92.3% of all Ohio drug rehab enrollments at the time the report was taken. When you speak with one of our specialists about entering drug and alcohol treatment in Ohio, talk about your personal circumstances in order to figure out which aspects of inpatient or outpatient treatment programs would best fit your needs. Outpatient and inpatient treatment programs both have life-changing benefits, and understanding which program will best help you achieve sobriety is one of the first steps in the recovery process.